With 4 recordings as a leader Juan David Arango is in a constant exploration of concepts where improvisation plays a very important role in the development of compositions. Currently Juan is playing in his quintet and trio. On february 2018 he forms a duo called Mèdulla with drummer Pedro Acosta, the duo explores the pc as part in the music and the timbre, they improvise over original compositions, standards and popular songs. 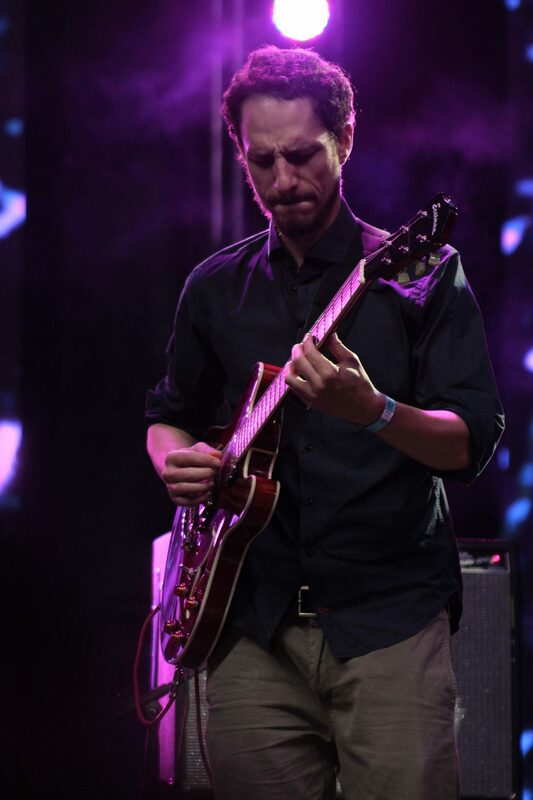 Also, Juan is guitarist of bassist Edgar Gómez project La Soledad Quinteto and playing with the latin jazz ensemble La Estación. Juan is full-time professor at Sergio Arboleda University. Jazz guitarist Juan D Arango have been developing his carrer since 2005, he starts his professional studies in Mauricio Cristancho music school (currently Sergio Arboleda University’s music department in Bogotá), he later enters to the Pontificia Javeriana University where he studies for 2 and a half years a Bachelor in Composition and Jazz Guitar. In july of 2008 he travels to Buenos Aires and graduates as a professional musician from the Contemporary Music School (Exbeerkle). In the beginning of 2010 he is selected to study in the Manuel de Falla Conservatory’s jazz department in Buenos Aires. During his stay he attends classes from musicians such as Ernesto Jodos, Marcelo Gutfraind, Juan Pablo Arredondo, Enrique Norris, Daniel Johansen, Valentín Reiners, Eloy Michellini among others. In 2009 he takes a clinic from jazz guitarist Kurt Rosenwinkel. In 2012 he finishes his studies at the conservatory and edits his debut album called ‘El Pelaguayo’ that consists of 9 original compositions and Chasin the trane (by John Coltrane). Playing with him are: Leonel Cejas (Doublebass), Francisco Cossavella (Drums) and Juan Torres (Tenor Sax). From 2008 to date he has been participating in numerous ensembles with Ernesto Jodos, Enrique Norris, Marcelo Gutfraind and Juan Pablo Arredondo, besides sharing gigs with numerous musicians from the local jazz scene.